Rebel Sound featuring David Rodigan, Shy, Chase & Status win Red Bull Culture Clash 2014 in a truly historic of event which saw 20,000 revellers at Earl’s Court watching some of the music world’s heaviest hitters to go head-to-head. Reigning champions Boy Better Know, Rebel Sound which was specially-created-for-one-night-only and featured Chase & Status, David Rodigan and Shy Fx, reggae dancehall champion sound system Stone Love and Harlem rap squad A$AP Mob, all took to the stage in what was probably the biggest and best music event of the year for the UK. Boy Better know, where busting with energy and started off as if they where on a killing spree, as they looked like they where going to metaphorically kill every sound system there. We think UK grime artists need to get more promotion and a little more respect from the mainstream as these guys where on Fire. David Rodigan who has been clashing for at least 35 years now is literally a veteran in the reggae dancehall scene, coupled together with Chase & Status and our friend, drum and bass music powerhouse Mr Shy Fx, Rebel Sound came out all guns blazing and where taking now prisoners. The had dubplates by Emeli Sande and even a Rihanna dubplate not to mention the Streets on dub. It was always going to be a rumble in the jungle between Rebel Sound hosted by David Rodigan and Boy Better Know hosted by Skepta. If you know anything about soundclashes, you would know that the mighty Stonelove didn’t seem that mighty and although they had some really huge dubplates which some of Jamaican biggest artists, its was clear to see that the crowd of young people who looked like they where 16 – 21 year olds where not in touch with Stonelove’s foundation selection of music. ASAP mob who admittedly has a good first round, started feeling the pressure quite early on in the clash, they seems way of out the depth and also seems like they didn’t quite understand the concept of a sound clash. What was interesting was the fact that when you think ASAP Mob you think HYPE you think MADNESS. However comparing their beats to the UK grime beats and the funky reggae melodies, it made ASAP Mob seem like ASAP sloth. Their beats seemed ever so slow, and what where they thinking bringing out booty shakers at a sound clash? Sorry guys, in reggae soundclash, its the once place that isn’t about the girls, ONLY DUBPLATES. 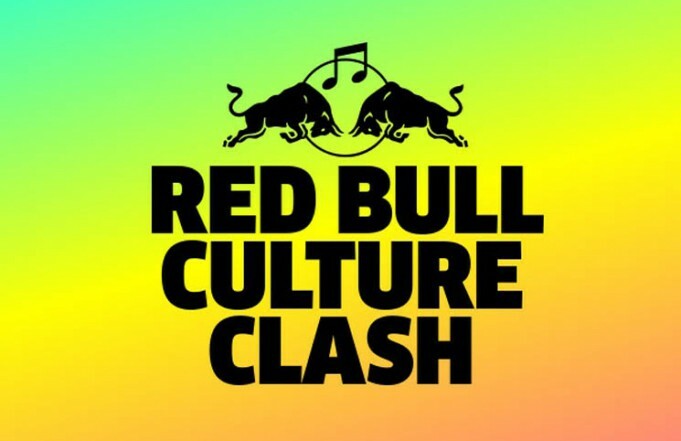 We commend Rebel Sound and Boy Better Know for keeping the clash live and active and we want to give a huge shout to Red Bull for putting on such an extraordinary event.